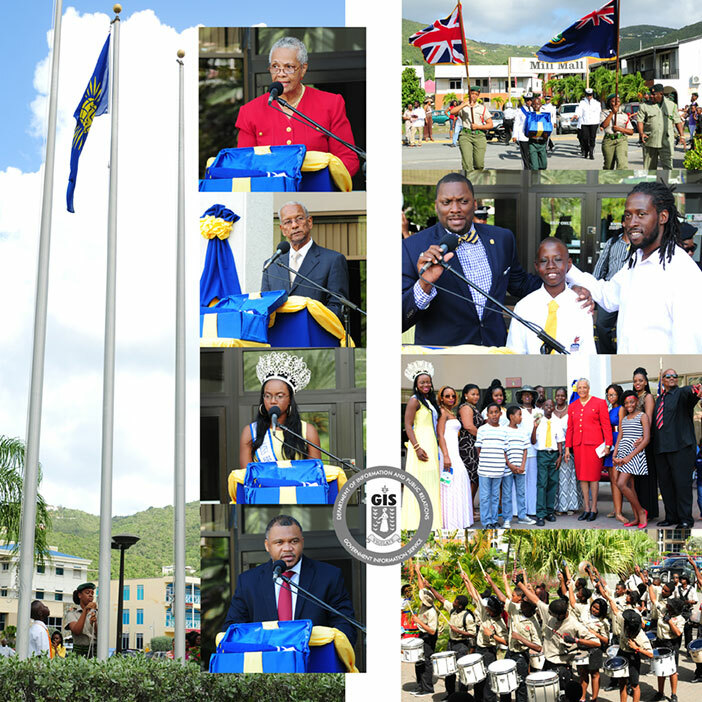 Scenes from Commonwealth Day 2015 celebrated on Monday, March 11 where the Office of the Deputy Governor hosted the Territory’s inaugural celebration for the Fly a Flag for the Commonwealth Initiative. Ten year old Jaleel Cameron hoisted the Commonwealth Flag and raised over $1000 at the ceremony to donate to the Children’s Unit at the new Peebles Hospital. To date, he has raised over $6,000 which he plans to present to the hospital by the end of this month. Acting Governor Mrs. V. Inez Archibald read the Commonwealth Day Message. Remarks also were delivered by the Premier of the Virgin Islands Dr. the Honourable D. Orlando Smith, OBE. Several dynamic presentations in poetry, song and from the Virgin Islands Cadet Corps and the Advent Heartbeats added to the richness of the programme. The day’s events commenced with a procession by several uniformed bodies which included the Royal Virgin Islands Police Force, Her Majesty’s Prison, the B.V.I. Guide Association, the B.V.I. Branch of the Scout’s Association and the Seventh-day Adventist Pathfinder Club.